Are you tired of dealing with a leaky dishwasher or an ineffective refrigerator? Help is just a phone call away! Mr. Appliance® of Middlesex & Somerset County can deliver the effective appliance repair and maintenance services that you need—and fast. Our employees understand how to deliver excellent customer service and always keep up to date on the latest appliance training. We use shoe covers and door mats out of respect for your home. We implement the latest diagnostic technology for more cost-effective results. 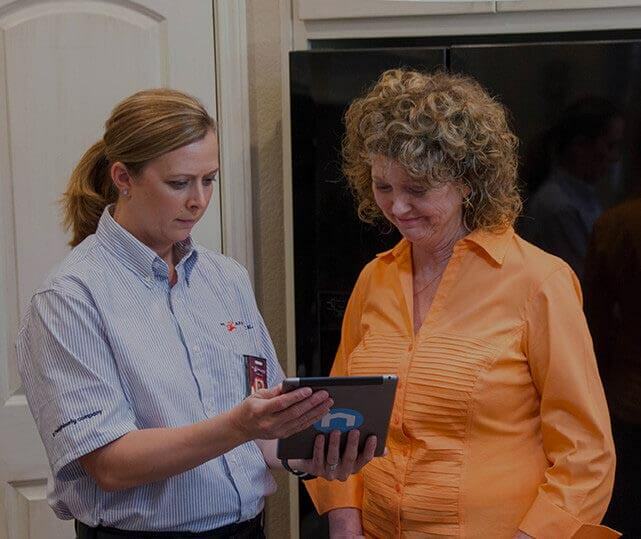 We walk our customers through their appliance repairs and answer their questions. We’ve made the first rule of our business taking care of other people! We are guided by our loyalty to our employees and customers. Whether you need a special appointment time due to an unexpected appliance issue or want us to walk you through the functions of your unit, we go above and beyond to meet your needs as our customer. We offer same day service to ensure your appliances are up and running again in no time! When it comes to your major appliances, especially washing machines, dishwashers, or refrigerators, waiting days for a repairman is unacceptable. Mr. Appliance of Middlesex & Somerset County offers same-day repairs so you can enjoy your home's conveniences as quickly as possible. Just call (732) 312-5294 to schedule your appointment and request immediate service. Our team can provide you with an expert technician within hours, not days. With guaranteed repairs and licensed repairmen, Mr. Appliance offers everything you're looking for in a Princeton appliance repair service: speed, effectiveness, and affordability. Your commercial appliances are not just convenient—they're the crux of your business. When they break down or malfunction, you lose valuable revenue for every hour it isn't working. What's worse, not just any appliance repair worker can repair it. As complex, powerful machines, they deserve expert servicing with guaranteed results. That's what you get with Mr. Appliance. Because we offer same-day service, your business will never be without your most important appliances for very long. At Mr. Appliance of Middlesex & Somerset County, the most challenging part of our job is trying to meet our customers’ needs when chaos strikes. We take this challenge head on, ensuring we find the parts and pieces they need to get their appliances working efficiently again in a quick manner. When you call us, you can be confident knowing you are getting a technician that really cares about your problem. We even perform a follow-up call after every repair to answer any questions or concerns you may have! As appliance repair continues to change, customers can always count on us to stay on top of the latest developments and features of newer appliances. Free dryer vent testing with any appliance repair. Free service calls with any appliance repair. $20 off for first-time customers of Mr. Appliance. 90-day guarantee on all labor and repair parts. When you hire our team, you get the knowledge and buying power of a big company and the personal, caring approach of a small company. You get the best of both worlds! With competitive prices, EPA-certified technicians, and award-winning service, we are the right choice for your appliance needs in Princeton and more! Ready to schedule your next appliance repair service in Monroe, Flemington, Basking Ridge, Princeton, and beyond? Give us a call at (732) 312-5294. $20 OFF Any Repair Over $100 Not valid with any other offers or for diagnostic fee. Valid at participating locations only. Limit one. Locally owned and independently operated franchise.